Protecting some of the core Intellectual Properties (IP) of a business using as many different forms of IP rights as possible might seem to be a logical thought process. While some of the IP, no matter how crucial, may only be protected using only one form of IP rights, there may be others that seem to have the potential to be protected using multiple forms of IP rights. One such IP that appear to have the potential to be protected using multiple forms of IP rights is aesthetic design. Designs that are solely judged by the eye are primarily protected by way of design registration. Generally, design of a product although appealing to the eye, the design itself does not serve the pu rpose of identifying the product with a company. In other words, generally design of the product does not perform the function of identifying the source of the product, which trademarks do. However, there are instances when design goes beyond its normal function of being appealing or judged by the eye, to also identify the source of the product, which is the primary function of a trademark. 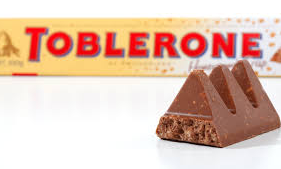 Consider Toblerone’s triangle design of the product, which is recognized as a trademark. The triangle design of the candy can associate the candy with its source, and hence rightly protected as a trademark. registered design should not be considered a trademark. In the litigation involving Crocs, the Court adopted the latter in its judgement. 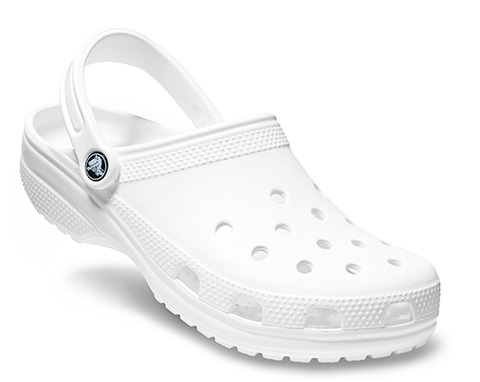 Crocs has design registration over the shape and configuration of a footwear and had attempted to restrain third party from infringing their design, which was not successful. The reasons for Crocs failure to get relief based on infringement of design is not discussed here, since the same is not very relevant to this article’s topic of interest. Crocs also attempted to restrain third party from copying their design on the ground of passing off. In response, the Court took the view that a registered design is not a trademark. Although the Court has adopted the later of the above two options, I am inclined towards the former. In my view, any contention by the owner of the registered design that the design is a trademark should result in the revocation of the design registration. The design registration should be revoked since the Designs Act specifically states that a trademark is not considered a “design”. Notable, the Trademark Act, as discussed earlier, does not state that a shape of a product (design) cannot be a trademark on being registered as a design. Therefore, one can argue that the Designs Act and the Trademark Act contemplate a situation in which some registered designs over a period can acquire secondary meaning. Such a secondary meaning acquired by the design of the product enables the product to be associated with its source, which is the function of a trademark. Therefore, there can be situations in which a registered design transforms from being just a design, to a design that has the characteristics of a trademark. In the event of such transformation, the protection of the design within the Designs Act should terminate and the design should be accorded the status of a trademark. In conclusion, in the Indian context, till such time, if ever, a registered design is provided the protection of a trademark when the design acquires the trait of a trademark, it is advisable to decide beforehand whether a design is likely to be used as a trademark. In case the design is likely to be used as a trademark, then registering the design under the Designs Act may be detrimental to the interests of the owner of the design, since design protection is for a limited period and protection of the registered design as a trademark is unlikely.